Last edited by fuelinjection23; 02-23-2007 at 09:45 PM. wtf? you look like a moron.. I hope I'm missing something, but that's going to be a lot of weight for a crappy old U brake. I would also throw a slick on the back. Good concept though. 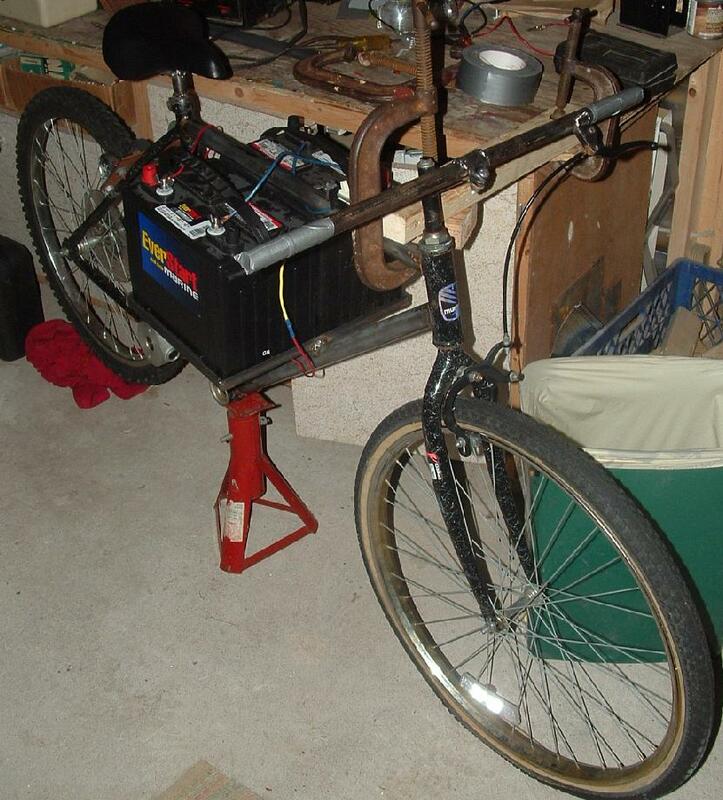 Hmmm.....All metal bike....Lots of electricity....I think I would atleast put on rubber grips! But other then that umm.....goodluck! yea, what happens when you hit 88MPH? todd... i lol at work man. 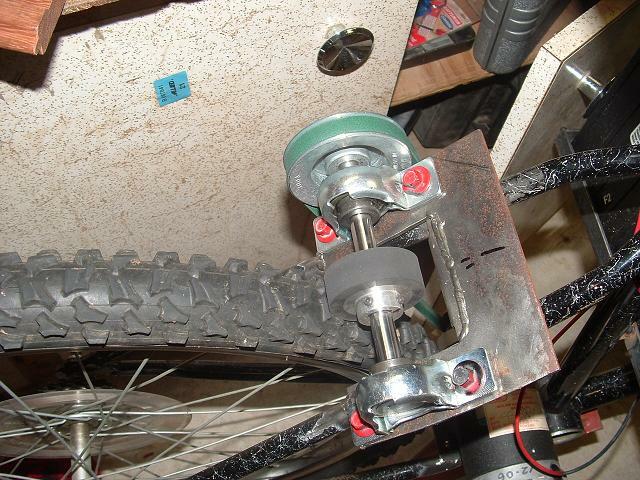 Interesting stuff, instead of that wheel that grabs the rear wheel to spin it you should do a direct chain drive, be much better and you wouldn't have to worry about stripping those wheels. That takes all the fun out of it, all science projects need to be tested. those are some bomb @$$ grips! "if you dont scare yourself a little each day, your not truely living"
Way to go with the "constructive criticism!" 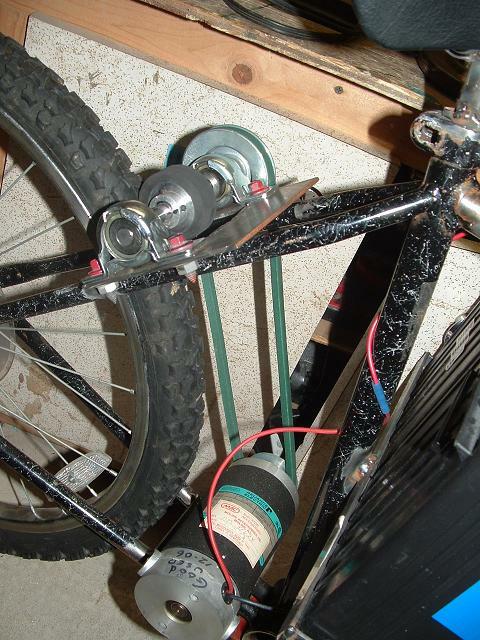 Going back to shredder's comment, the drivetrain is practically set up with the gearing system. Why not take advantage of that? "'I refuse to prove that I exist,' says god, 'for proof denies faith and without faith I am nothing'"
- Douglas Adams: "The Hitchhikers Guide to the Galaxy"